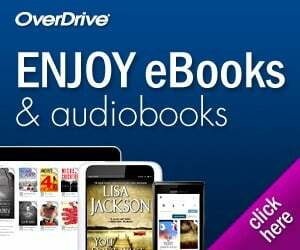 Reedy Library | February Book Clubs! 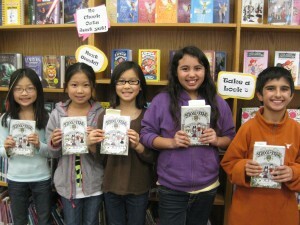 In February of 2012, the RBE Library hosted its first Book Club! It was so exciting because thanks to a Frisco Education Foundation Grant that I was awarded, I was able to buy several book sets that I can use over and over again for student book clubs. In February, we had students from 2nd, 3rd, 4th, and 5th grades participate. Six students from each grade level were selected after they filled out Book Club interest forms. We met once a week for 3 weeks to talk about the books. We met at lunch in the library, and the students got to bring their lunch to the library and eat while we met for Book Club!!! That was definitely a highlight! At the 1st meeting, we read the first chapters, made predictions, and talked about the characters. I gave all the students several Post Its so they couls mark interesting parts, or make comments along the way as they read. At the 2nd meeting, students read to the middle of the book before we met. Then we read aloud from some of our favorite parts, talked about anything we were confused about to that point, analyzed characters and made predictions about the ending. At the 3rd meeting, students were to have finished the book. We talked about how the book ended, how the characters had changed, and what were our favorite parts of the book! I took pictures of all the kids from each grade level who participated. The students who participated told me that this was such a fun thing to get to do, and they all really liked the books that they got to read. To see pics of the students who participated, see the slideshow below! Book club was so fun! I really enjoyed talking and reading school of fear! What a wonderful idea! I like that you shared it on the website too.